What about stem cell research? His comment actually displays much deeper ignorance than not understanding the Church teaching on masturbation. He's not alone. When Obama was asked when life begins he said "That's above my paygrade". It's amazing that even after the Genome project, when every biologist on the planet is in agreement, that the general public is still stuck in the 1970's, with no thanks to the media and government who are keeping the ignorance going for as long as possible to avoid the moral implications. So it is relegated to university biology classes. Men and women have 46 chromosomes in every cell of their bodies. When the sperm and the egg cells split off, they have 23 chromosomes in each cell. 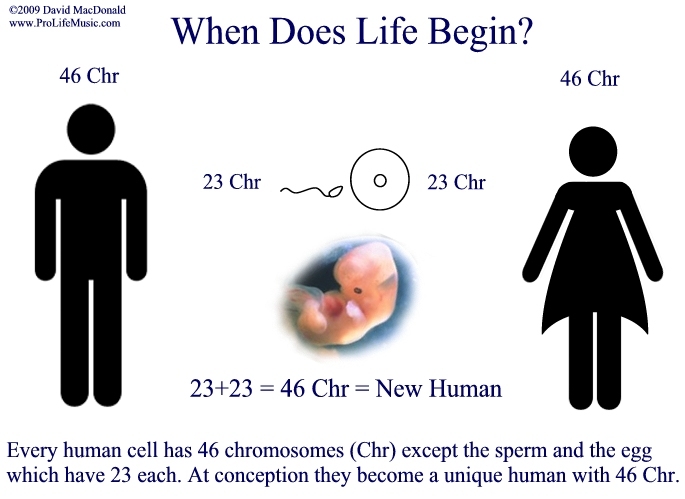 The sperm and egg meet to make a new human being with 46 chromosomes in each cell. Then there is one more chromosome (47) in each cell, she's still a beautiful human with a disability. Then there are two humans, which means it is even more immoral to kill them. The twins just haven't separated yet which happens during the first cell split, and of course the cells know exactly what they will do, even though our limited technology doesn't. You wouldn't kill Siamese twins, especially when you know that they will separate naturally. Doesn't it take a few minutes to a couple of hours after fertilization to get all the chromosomes together? The biggest computer in the world could not follow the first few minutes after fertilization. Fertilization is the miracle moment, and all 46 chromosomes are coming together. It's when life begins. What about stem cell research which destroys the zygote at 5 days old? It is killing the most innocent human beings on the planet. We are doing medical research using the dead bodies of our children who we've killed for that purpose. It is not much different from cannibalism or the child sacrifices of the Mayans. 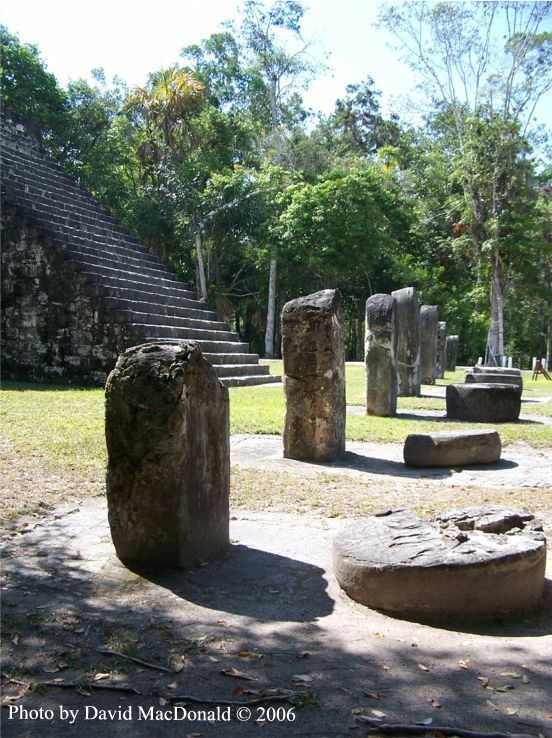 Below is where babies were sacrificed by the Mayans, in Tekal, Guatemala. And to our friend who said sperm is just as human as an embryo, the answer is, "no it isn't." It only has 23 chromosomes. It needs 46 to be uniquely human.